If you’re a frequent internet user, you’ve probably come across the word ‘proxy or IP address’ on an advertisement or some where while surfing the web. The growing trend of proxies is not just a new toy in the market but many multinational companies are using it for their safety and privacy. Moreover, a type of proxy known as a residential proxy are the talk of the town these days.So, what are these? How do they work? Why are they so important? Are they only intriguing or do they actually work? What type of proxy should I get and which provider can I trust? These questions along with many questions will be answered as you read ahead. To start off, an IP address is a set of numbers arranged in a unique fashion that is specific for each computer. It helps you to communicate with other networks on the internet. It is basically your and your computer’s identity. With the advancing technologies and emerging security concerns, it is very easy for attackers and hackers to track you down. By doing this, they can steal your personal information by getting a grip on your IP address. This is where proxies come into play. Proxy is a fancy word for a feature that safeguards your personal information by providing false IP addresses to networks you connect with. Therefore, those networks never get a hold of your original IP address. Once your actual IP address is hidden, your personal information is safe with you only. Residential IPs are used under the heading of residential proxy. They are IP addresses that come from a host such as your internet service provider (ISP). Your ISP will provide residential proxy users with a distinguished IP address instead of a third party interference. This is a unique feature of residential proxies. Residential IPs work by connecting directly with the ISP or any host. The host will then generate a specific IP address for its user. This will allow the user to basically borrow the host’s IP therefore masking yours’s. The proxies that come from your internet provider are actually originated at a company that is responsible for generating proxies. One such company is Microleaves. Microleaves is one of the biggest proxy providers in the proxy world. It is capable of generating of 26 million every month. With its money-back guarantee and 24hour customer service, it leaves its customers fully satisfied. In Microleaves, residential IPs come in packages. These packages vary in the number of ports in each package. Depending on your requirement you can choose what suits you best. 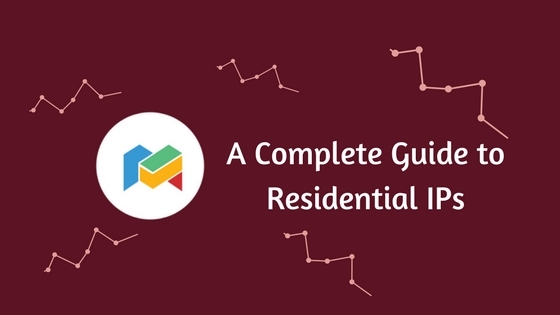 There are many features and benefits of using Residential IPs. Here are two that I think, stand out the most. Residential IPs are very safe. They are comparatively very hard to track down and block out. They are complicated for attackers and hackers to crack who are trying to steal your personal information. The risk of these IPs being caught is only when you’re onto some illegal stuff. But then again, this is applicable to any other type of proxy you use. Unlike other types of proxies, residential IPs are not fake. They do not have the capability of generating fake IP addresses. They are true IP addresses coming directly from your source. There is famous saying by Michael Jordan, ‘Just play. Have fun. Enjoy the game.’ This is exactly what you should do when using residential IPs. Letting others do the work and enjoying or utilizing your time is the main purpose of these proxies. Previous PostPrevious Why Microleaves Dedicated Proxy is the Tech for the future?